30 August / Students and teachers at the Raatuse School will begin the new academic year in the school building with the most modern learning environment in Estonia. 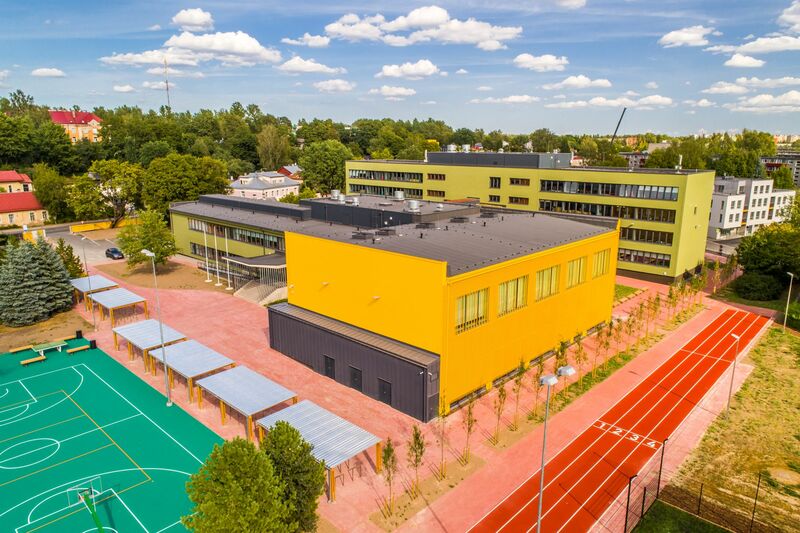 According to Mayor Urmas Klaas, Tartu has adopted a plan to renovate its basic schools, with Raatuse School and the Kesklinna School being the first to have undergone the renovation. ‘I believe that Raatuse School will be given a new lease on life and the students and teachers will be able to enjoy the excellent learning environment created in the building once the renovation is complete,' said the Mayor. The Raatuse School building and its surroundings have been thoroughly updated; all that remains of the old school building is the structural frame and the exterior walls. Modern classrooms with an open learning landscape have been built on the second and third floors. A new 75 seat auditorium was built as an extension of the assembly hall along with an approximately 200 square metre addition to the building, in which there is a spacious atrium. The entire school has received a new interior and modern IT equipment. The school’s director, Toomas Kink, also believes that changes to the content of lessons is also important, along with the school’s updated architecture. ‘The new form must go hand in hand with the new content, at the centre of which is the student. An open learning space, excellent sporting facilities and updated classrooms lay the necessary groundwork, but the most important role is left for the teachers to play,’ said Kink. In addition to good learning conditions, the students now have excellent opportunities for engaging in different types of sports. An artificial turf football field, ball courts, a running track and other sporting structures have been built on the school’s territory. The reconstruction and furnishing of the Raatuse School cost nearly EUR 7.9 million. The reconstruction of the school building was supported with EUR 4,644,990 from the European Regional Development Fund. The programme for rehabilitating basic schools continues with the Variku School, where renovations have already begun.